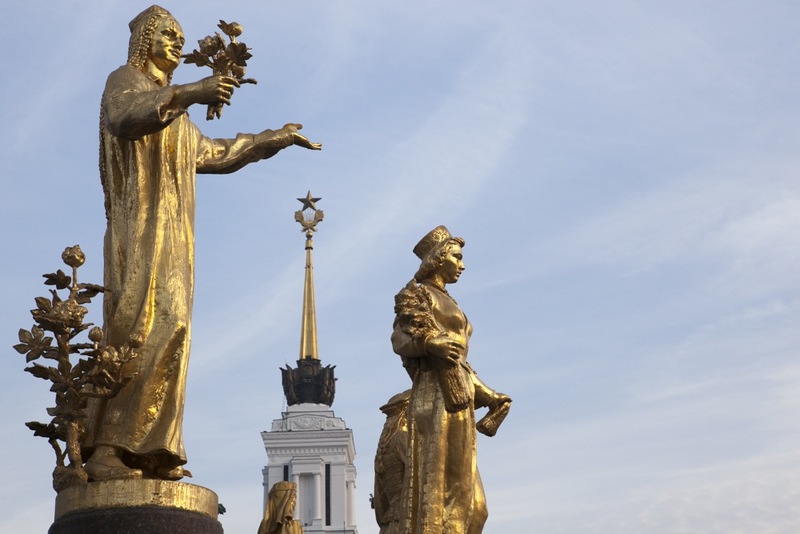 Recent changes in Russian politics often get dubbed a “return of the Soviet Union”. This can’t be taken literally: the current system has neither the features of Soviet socialism nor a doctrine of internationalism or anything of that sort. But the Soviet period is clearly a point of reference for both government and society in Russia today. Their approaches differ somewhat: the authorities tend to play on the idea that “we used to have a great country” (we were feared and respected by other countries, we influenced world politics, and so on), while society leans more toward the idea that “we had a golden age” (everything was cheap, there was no social stratification, life was much easier to plan). These two ways of perceiving the Soviet past get expressed and interpreted — with varying degrees and angles — in state-sponsored cultural projects, in the works of individual artists and in mass culture. Some explorations of the Soviet era amount to its total rejection, although such cases are increasingly rare and unpopular. 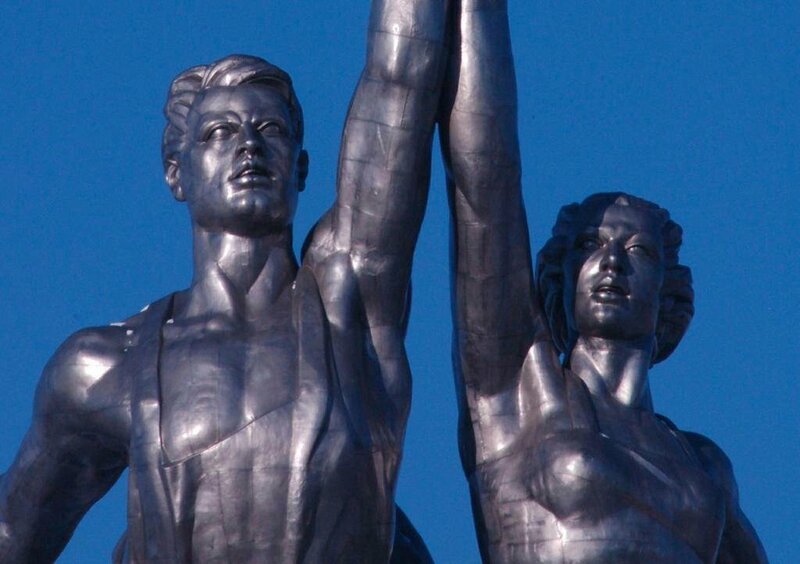 Variety aside, contemporary Russian culture is revisiting the Soviet past. Here are 10 examples worth noting. 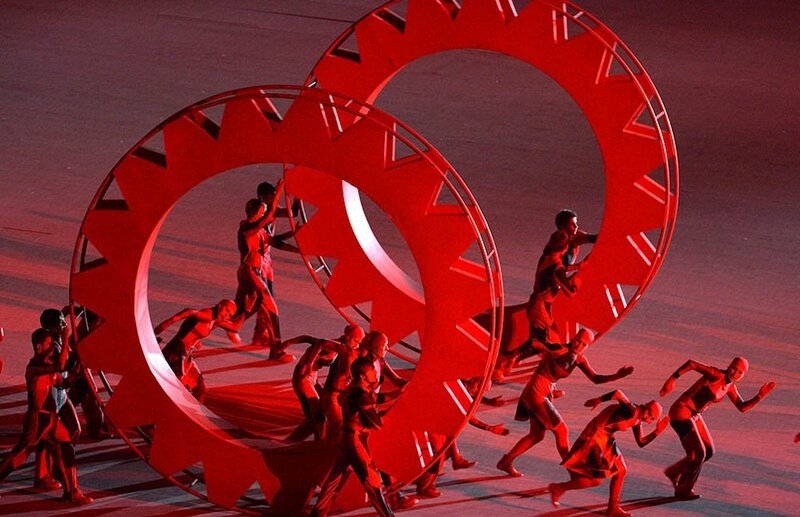 It’s worth noting that the Olympic ceremony’s Soviet images were presented using incredibly advanced technologies supplied by international companies. 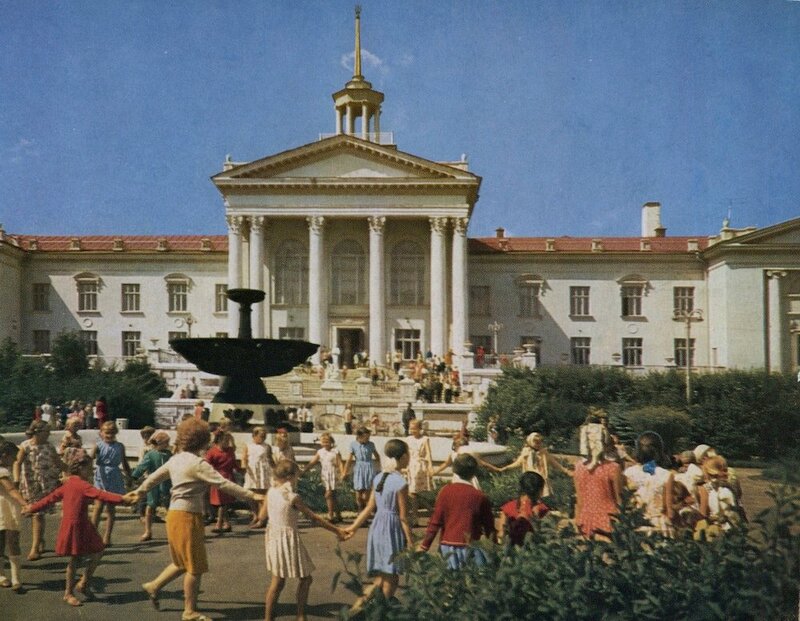 In fact, up to the time of Crimea’s annexation and the reactionary rollback that followed, that had basically been the main ideology behind official presentations of the Soviet past: take the great achievements of those years, along with recollections of the brotherhood and enthusiasm of yore, and package them into cutting-edge technological formats that showed a modern, developed Russia — a country, most importantly, not falling behind the rest of the international community. 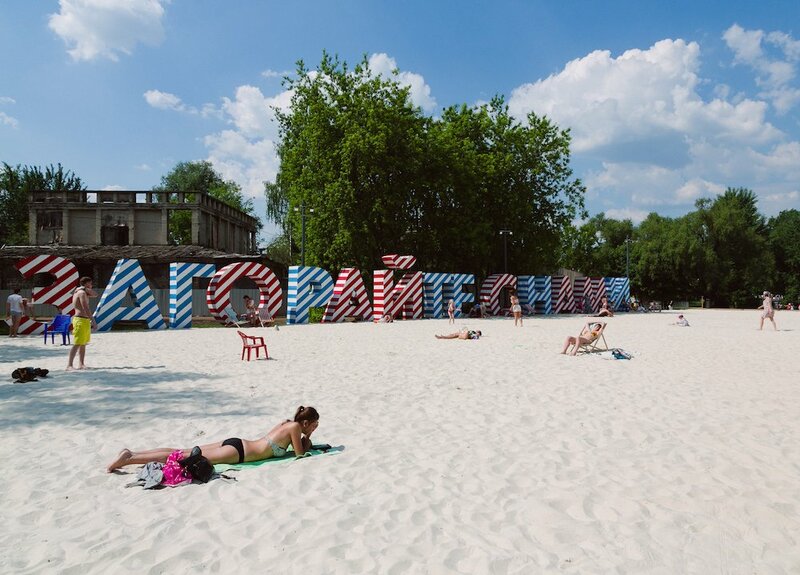 The plans to renovate these two public spaces share a single underlying idea: to take a Soviet-era icon, milk its nostalgic potential and turn it into a space for young progressive types. 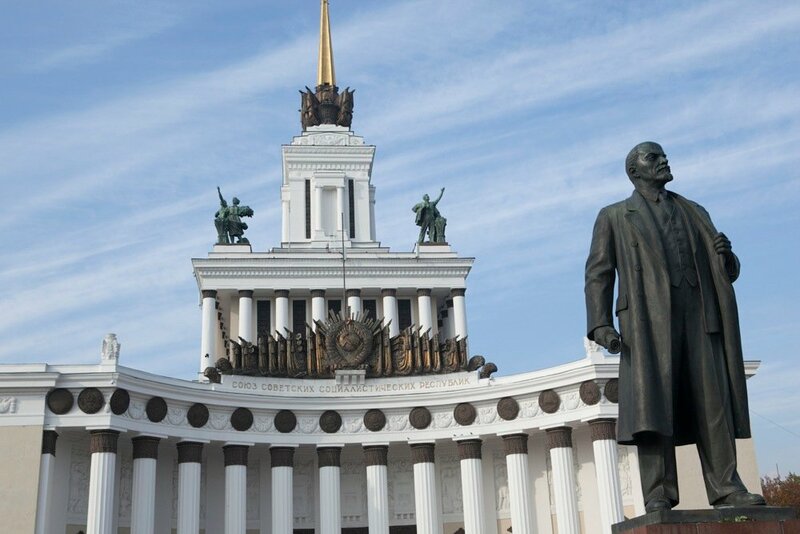 Gorky Park still bears the marks of its Soviet architectural grandeur — like its massive colonnaded archway of an entrance and sculptures of sporty Soviet youngsters, including the restored Girl with an Oar — and likewise still bears the name of the great proletarian writer Maxim Gorky. Nonetheless, its hybridisation is more or less complete: Soviet-era tunes on the ice-skating rink coexist with free wifi; old-school funfair favourites like strength testers and cotton candy compete for customers with bike rentals, Asian take-out and open-air screenings of edgy European films. 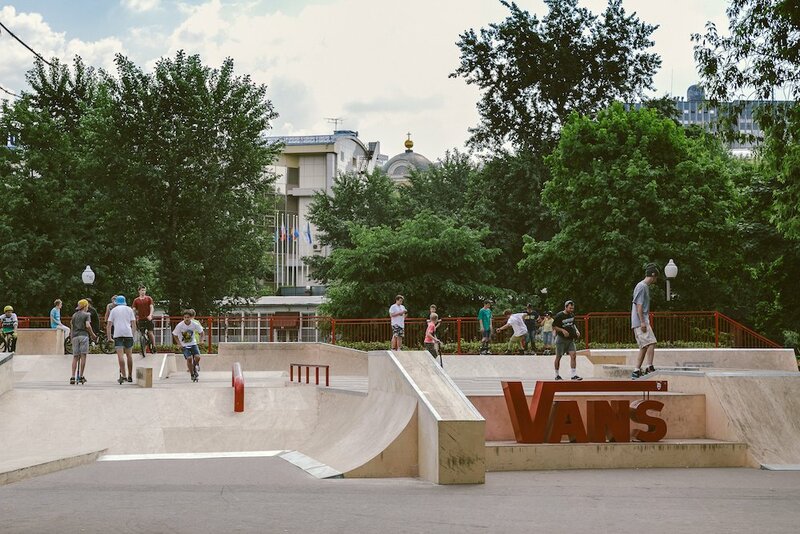 The overhaul at VDNKh, now again known by its Soviet-era name, is just beginning. 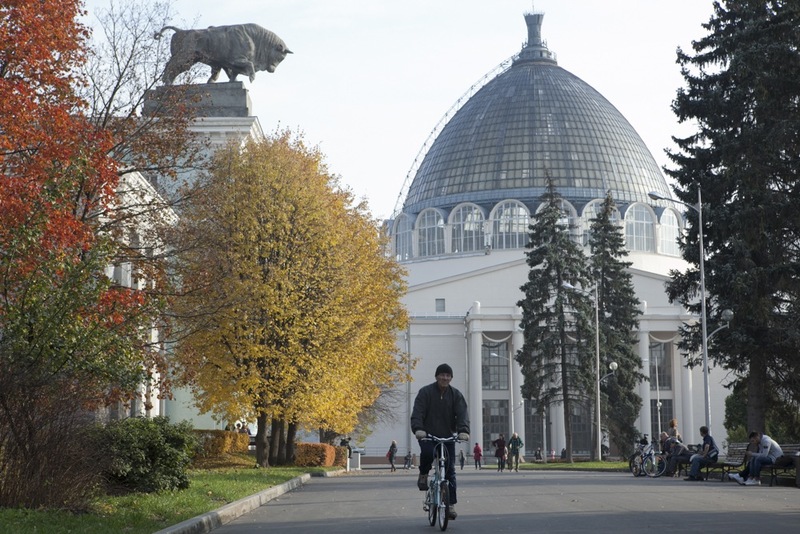 The grand Stalinist pavilions — this was once the Exhibition of Achievements of the People’s Economy, after all — have been cleared of the cramped shops that mushroomed unchecked in the 1990s, but what will happen next is unclear. Which proportions of Soviet to hipster will win out? The answer seems elusive even to two of the men tasked with designing VDNKh’s new “concept” — Ilya Tsentsiper and Yury Saprykin, leading figures behind the influential lifestyle magazine Afisha and major contributors to the transformation of Gorky Park. Some liberal-minded Russians have gone so far as to reproach the pair for conjuring up a non-existent Soviet paradise and fuelling a “phantom nostalgia” among young people — making them pine for some “wonderful” country they’ve never seen. Moscow has so many eateries with USSR-nostalgia themes that the local version of TimeOut publishes overviews of new “Soviet” establishments at least once every six months. Today’s Russians seem to have forgotten the days of universal shortages, but vividly remember the taste of the Stolichny potato salad their mothers used to make for holidays. This quirk of memory about the era of so-called developed socialism is used to great effect by today’s food-business capitalists. The recipe for success is relatively simple: an unmistakably Soviet interior, which visitors associate with familiar home cooking and casual get-togethers involving vodka, and menus based on The Book of Tasty and Healthy Food — the wildly popular, official culinary bible of the USSR (10 editions, over 8 million copies sold, published under the supervision of Stalin's trade minister Anastas Mikoyan). Of particular note among the general run of neo-Soviet establishments is the reasonably priced Kamchatka Bar, opened by Arkady Novikov, owner of Russia’s largest restaurant syndicate, right across from the fashionable TsUM department store in the very centre of Moscow. The Soviet aesthetic of riotous drunkenness, accompanied by “tasty and healthy” snacks, has found favour with the first post-Soviet generation. Every night, crowds of hipsters come to Kamchatka to get sloshed and, if they’re lucky, trade blows with someone as well, honourably continuing the traditions of their fathers and grandfathers. In 2010, Russia’s most famous female writer published a novel about Soviet-era dissidents — she had been one herself — and about the generation of the late 1970s and early 1980s more broadly. 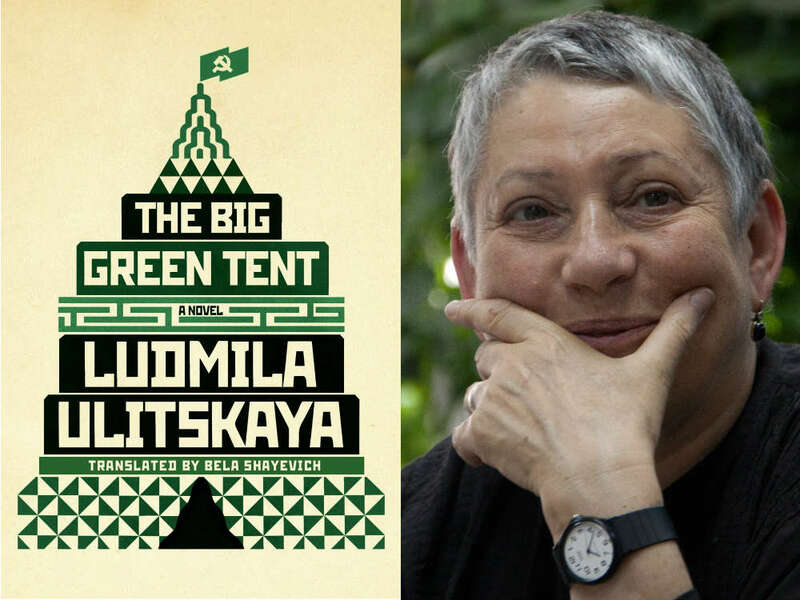 In the book, set for release in English in April, Lyudmila Ulitskaya argues that the Soviet government had a corrupting influence on all of society, including its adversaries. It is largely for this reason that the dissident movement as a whole — leaving aside the heroism of specific individuals, like the handful who went out onto Red Square in protest against the invasion of Czechoslovakia in 1968 — turned out to be powerless and consequently useless when circumstances changed. In the 1990s, and especially under President Vladimir Putin, dissidents lost all their influence in society and were unable to inspire a sufficient number of young followers for whom democratic values were truly important. Ulitskaya’s position amounts to a complete rejection of Soviet rule — not only in its totalitarian and imperial manifestations, but also in its “socialist” aspects, like free (albeit not the best) medicine and education, and its state backing of culture. Hers is a stance that gets less and less popular with every day. The British original delves into the now popular idea of a “new past”. The premise is simple: for those of us alive today, the middle of the 20th century (even the 1970s) is as full of relics as the middle of the 19th. And not just in terms of technology but, above all, in terms of people's views about life and morals and their general understanding of what’s acceptable and what’s not. In the show, a modern, politically correct police officer — burdened with rules and perhaps slightly naive notions about equality under the law, presumptions of innocence, refraining from physical force and the like — finds himself in the brutal world of the 1970s police force, where anything is fair play. Transferring this conceit to the Russian-Soviet reality proved impossible: the reputation of Russia’s modern-day police — cruel and corrupt — more closely resembles notions about the British force of the 1970s, while their precursor, the Soviet militsia, seems quite law-abiding by comparison. In other words, to achieve an effect comparable to its British prototype’s, the Russian adaptation would have had to switch eras in the opposite direction: an “exemplary” Soviet officer finds himself in the cut-throat world of today’s Russia. As a result, the clashes at the heart of the show were reduced to purely technical differences — forensics, equipment, etc. The programme didn’t prove too popular. 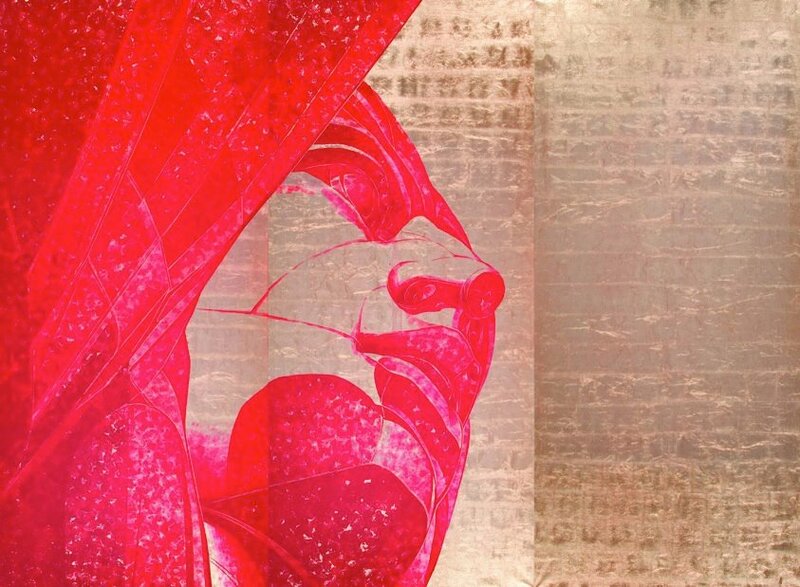 In 2008, the Kandinsky Award — one of Russia’s most prestigious art prizes — went to painter Alexei Belyaev-Gintovt for a series of works entitled Daughter Russia: 15 sizeable canvasses in red and black paint on gold leaf with images of shaven-headed athletes marching on Red Square, a Kremlin star, a sniper on the Ivan the Great Bell Tower (the Kremlin’s tallest), the Parthenon, the Coliseum, a Soviet fighter jet. Belyaev-Gintovt is known not only as an artist whose work idolises imperialist Stalinist aesthetics, but also as the stylist of the Eurasian Movement, a political-ideological grouping headed by Alexander Dugin, as extreme-right traditionalist. 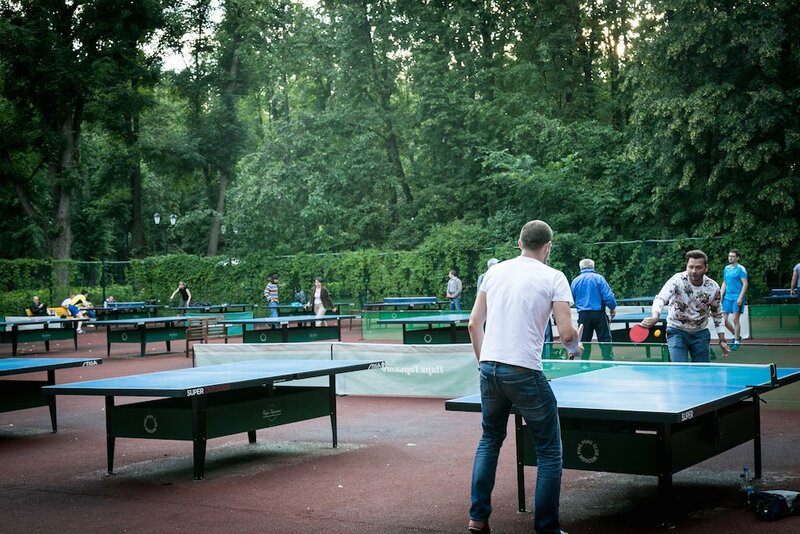 The awarding of the prize to Belyaev-Gintovt sparked a public outcry. People in the audience shouted “Disgraceful!” and a slew of art critics penned outraged articles. But it turns out the jury had been right to award the prize to Belyaev-Gintovt: after all, even in the prosperous and relatively liberal years of Dmitry Medvedev’s presidency, he was able to predict the neo-Soviet course — with its great-power ambitions and imperial aesthetics — upon which the country would embark with Putin’s subsequent return to the Kremlin. This year, the National Bestseller prize was awarded to Ksenia Buksha for her novel Freedom Factory, which one might call a declaration of today's phantom nostalgia. This is genuine Soviet-style “industrial prose”. The story of a large Soviet factory, the work is permeated by bitter sorrow for a lost Soviet universe. Meanwhile, the author of the book is 31 years old. 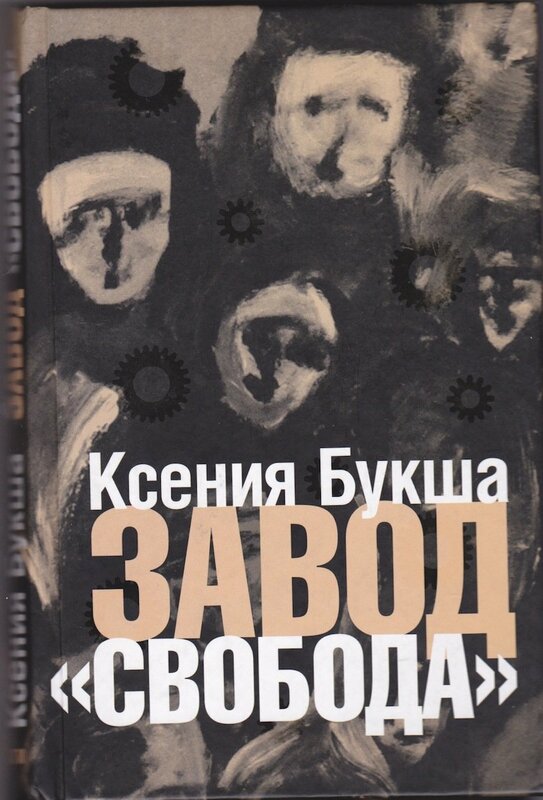 In other words, this nostalgic industrial novel was written by a person whose own Soviet past was limited to her preschool years, and who is quite deeply involved in a completely different — capitalist — economy (Buksha started out as a business reporter). One cannot say that the author of Freedom Factory uniformly idealizes the Soviet government: she never lets her readers forget that the “freedom” proclaimed in the context of the “Soviet project” is actually coercion. But, she writes, it was something one could come to love and to live in as one's only home — that same kind of home you leave in childhood and never stop missing. The socialist economy was not intended for competition among producers, so the number of existing brands coincided almost exactly with the number of available types of products. (There was a joke about a Soviet store where you could buy Cheese brand cheese, but Sausage brand sausage had sold out the week before and no one knew when a new shipment would arrive.) 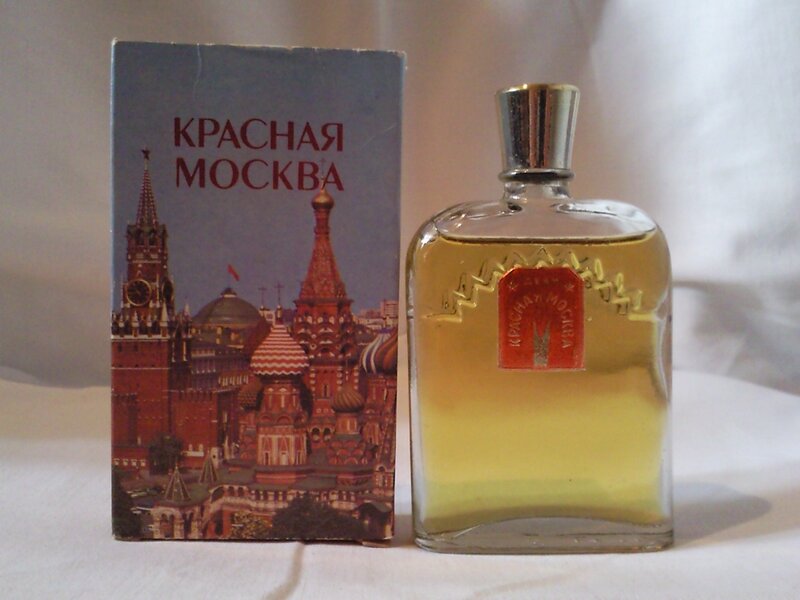 As a result, those few products that had been deemed worthy of having genuine brand names, and at the same time satisfied the not-very-exacting tastes of the Soviet public, lodged themselves so firmly in consumers’ memories that 20+ years after the collapse of the Soviet Union a whole range of them continue to occupy dominant positions on the shelves of supermarkets. Today, Soviet-era brands of chocolate, alcohol, ice cream, sausage, soft drinks and toothpaste don’t merely compete with famous Western brands but, in certain price ranges, practically eclipse them altogether. Russians buy “Soviet” products both out of habit, or even patriotism, and because they believe they’re “ours”, familiar, not poisoned with western genetically modified additives and dangerous toxins: “My grandmother and mother ate Bird's Milk cake and Radium candy [this radioactive brand predates WWII]. Who knows what's inside that Snickers bar?” At the same time, the average consumer often has no clue that the recipes and production technologies behind those favourite brands have long ceased to meet the government standards set in Soviet times, and that the old brand itself was actually bought long ago by some private Russian company, or even some transnational giant like Danone or Nestle. 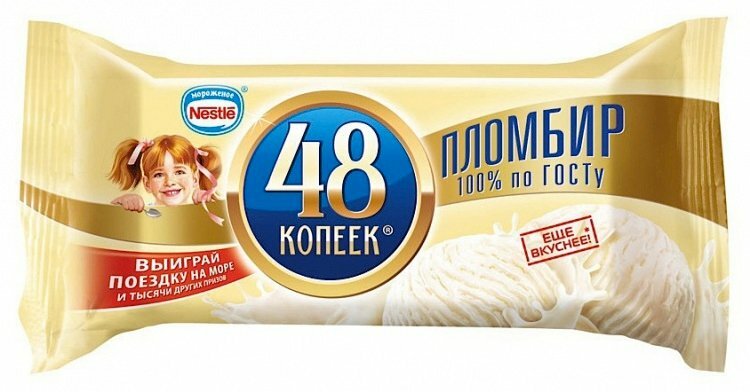 As for those companies that missed their chance to buy a solid Soviet brand name but see its benefits, they now make up their own: just look at 48 Kopek ice cream and 36 Kopek milk, named in honour of the fixed Soviet prices — prices that didn’t change for 25 years, and then, in the next two decades, ballooned by a factor of 150. Todorovsky filmed The Thaw as a period drama, without concealing the horrors of the time (total dependence on superiors, collective punishment, pervasive informers), but at the same time unabashedly delighting in the Soviet 1960s. The Thaw’s ratings were quite high, and viewers' reactions were favourable, but in intelligentsia and opposition circles the show gave rise to heated discussions — precisely because it depicted the Soviet past so lovingly (albeit with some sorrowful agitation). Many critics saw Todorovsky's film as a nod to the spirit of the current Russian leadership, presenting the Soviet past as a “golden age” that united everyone regardless of their views, practically a new antiquity. 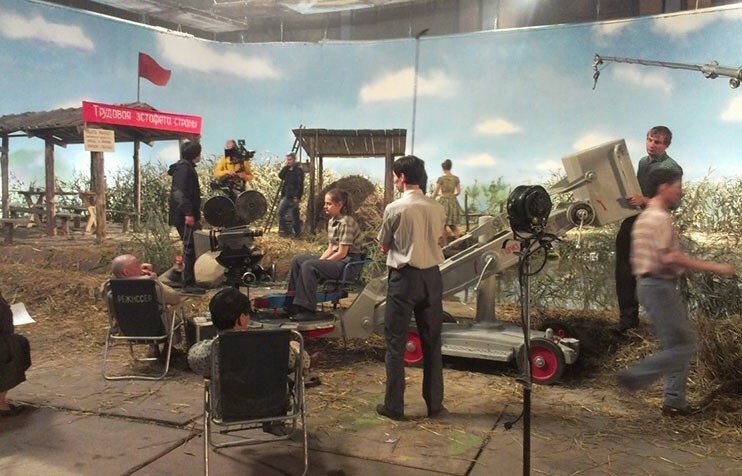 As a result, the artistic merits of the film turned into its political failure: It is possible, critics wrote, to tolerate an obtuse agitator who works on the side of the regime, but it is difficult to accept the same kind of work from a major artist. In recent years, the Russian film industry has been cranking out movies whose message boils down to “we had a golden age”, with multimillion-dollar budgets and equally impressive box office takings. The past is glorified using two techniques: the first is familiar to viewers from Soviet times — the celebration of ideological victories (which, for whatever it’s worth, were based on some very real achievements and feats); the second involves a retrospective “reconciliation” between the Soviet era and a popularly beloved individual who rebelled against it. In the most successful of these, Legend No. 17 (which grossed almost $30 million), the plot revolves largely around a despotic coach, who tortures the young hockey player with his hard-knuckle tactics, but ultimately makes a winner out of him. This idea of collective victory by means of suppressing the individual is a characteristically Soviet strain of thinking — and it explains why to this day Russian society values the overall interests of the majority more highly than it values the individual human being.